Two clearly unbalanced leaders are sabre rattling over nuclear war, each one threatening the annihilation of the other. This stand-off is being fought within the public sphere, making the volatility even more frightening. 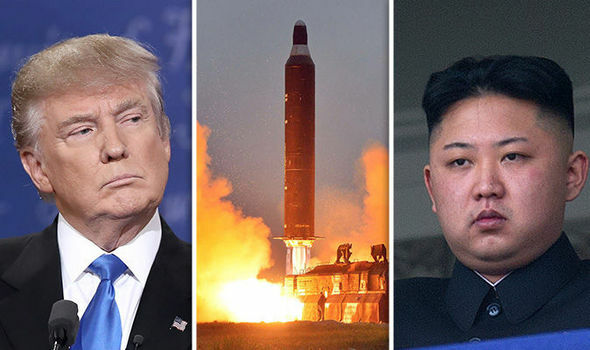 Trump, impulsive as ever on Twitter, has the perfect enemy in Kim Jong-un who goads and responds in equal measure. Where are the adults in the room? Major world leaders are resorting to lazy thinking that purports to have easy answers to complex problems: this approach is irrational but emotionally satisfying. Psychologically, we understand that black and white thinking, where shades of grey are exchanged for the simplicity of good or bad is a regressive step backwards. It takes intellectual and emotional maturity to cope with nuance and complexity and work toward a rational solution: a psychological development many of our leaders seem to lack today: keeping it simple and “being right” simply feels more satisfying. Trump, who has claimed that the presidency wasn’t quite as easy as he expected, consistently simplifies complexity to lazy thinking in ways that have numerous frightening consequences for the rest of the world. His Mexican border wall is literally the most concrete example. Rather than engaging the inherent complexity of immigration, the idea of a wall emotionally satisfies him and his base as a simple solution to a complex problem. Experts working in the “rational world” agree it’s not a solution. The rational approach to climate change is complex and comes with painful solutions: it’s easier to dismiss it altogether as a hoax. It’s also lazy thinking. People will get behind an emotional aim even if it is irrational and ultimately puts themselves in great peril. This is how governments have historically got their populations to support dangerous causes or got their soldiers to go to ill advised wara: it’s not a way to legislate reasonable policy. We expect and hope our leaders can process global complexity and lead their populations towards an end that is good for their nations and the rest of the world. However, when these same leaders choose the simpler option of lazy thinking, they will easily take great segments of their populations with them with promises that can’t be kept. Such regressive and lazy thinking isn’t limited to the USA. I would argue that the discourse around Brexit has always been thus. Furthermore, rather than leading its population through the complexity of a problematic European membership, David Cameron deferred this leadership to an ill-conceived referendum which would inevitably be run on lies, slogans, and encourage lazy thinking that continues to divide our nation. Both the Leave and Remain campaigns were guilty of simplifying a terribly complex situation in order to appeal to the regressive emotions of the population at large. Trying to convince a majority of voters that the EU is either “good” or “bad” is a much easier task than working through the nuance of this complex arrangement. Arguably, such complexity should be dealt with by our representatives in parliament rather than by a public referendum where the lowest common emotional denominator would be appealed to. Lazy thinking has a huge advantage over complexity and rationality in such situations. Nobel Prize winning behavioural economist Richard Thaler noted as much in June of 2016 when he said that Leave voters would be “voting with their guts” on an issue that really ought to be worked through with hard intellectual rigour. 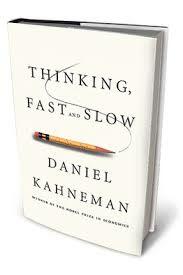 Daniel Kahneman, another Nobel Prize winning psychologist, has gone to great lengths to show us how we have two systems thought with which we approach the world, “fast” and “slow.” The fast system is automatic, instinctual, biased, and often wrong. It needs to be mitigated by the slow system, our rationality, which with effort can hold our instinctual responses to account. The trouble is, slow thinking is just harder. It takes effort. It takes work. Fast thinking is easier, it can cause pleasure when acted upon, and most importantly, it can be dangerously biased. 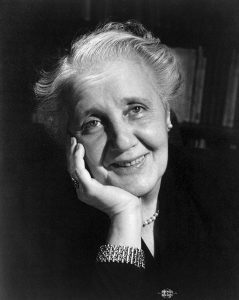 A lesser known theorist, psychoanalyst Melanie Klein, also noted two types of perception. The regressive “paranoid/schizoid” thinking which prefers to see the world in which good and bad are split off from each other and the good “side” is consistently paranoid of invasion from the bad “side”: or the more developed “depressive” perception of the world which sees everything in shades of grey. One of the reasons it’s called “depressive” is because when you stop splitting the bad from the good, you also lose the “ideal” – there is no longer any unfettered good – you have to take the world in all its mixed up complexity. The recent discourse on Brexit is becoming “no deal is a good deal.” This is a fundamentally irrational position, but from the paranoid/schizoid position, it makes perfect sense: “Europe is bad, and we are good – we are better off without it.” But in the context of “no deal” this is clearly irrational and will do us great harm. Whenever there is a descent into all or nothing thinking, one has to be alert to psychological and emotional regression. Decisions made in regressive states are often impulsive, emotionally motivated, and harmful. When leaders appeal to the regressive and emotional states of their populations, they are playing with very volatile and contagious material, and often, there is no turning back. We must hold our leaders to account by not allowing them to lead us, as has happened so many times in history, towards a paranoid/schizoid rabbit hole that will tear apart the world. Yes, it hurts the head to think complicated things through thoroughly. It is less satisfying to locate the “bad” within us as well as outside of us – to compromise with others and to find solutions with those who disagree with us. But this is something we must do, otherwise, lazy thinking could quickly lead us to lose an awful lot that we hold dear.